What is The Shematrix Mystery School? Shematrix is a constantly evolving collective of women and men. Each of us has entered the deeper mysteries of ourselves through the rite of passage offered in The Gift or The Grail events. We have committed to further this form of work as a portal to greater connectedness, love and consciousness on this planet. Since 1998, we have offered training in how to hold sacred space and how to show up more clearly for ourselves and in deep service to others. Together we are called to share this transformational opportunity with ever-widening circles. This has been a deep journey of commitment for all of us. Being part of the Shematrix Training has been an essential step in the journey for all women who are now qualified as Guides to facilitate the work in The Gift and The Grail. The Guide level training is a separate ‘invitation only’ path. We are responding to the calls from our expanding communities by offering Shematrix trainings on a regular basis. We have been asked to create more ways for individuals in our communities to flourish in their connection with this beautiful source of authenticity and soul-nourishment that is the work of Shematrix. We are very excited to be offering a whole new style of training in the coming year. We welcome you to join this Mystery School and become part of this exploration of our humanity and our connection to spirit. 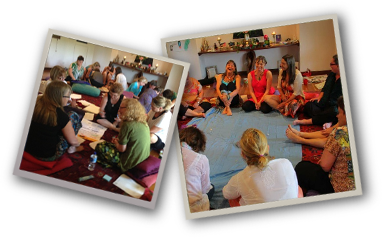 Together we will celebrate our deeply individual journeys within our spiritual community. As the name implies, it is a journey into the mystery and as such the path cannot really be described in linear terms, yet there are very real reasons for joining this training which has clear steps and structures with tangible outcomes. People come into the training for many different reasons. For some it is about bringing the energy they experienced in The Gift more into their daily lives. For some it has been about expanding their consciousness, deepening self-trust, connecting with intuition, or understanding how to align with and trust spirit guidance. The deepening relationship with the self inevitably improves all relationships in life – allowing more compassion, respect and increasing confidence to speak and act from our authenticity. This willingness to take responsibility for oneself frees up so much of the time and energy usually spent in habits of comparison and competition, and people have subsequently created deep bonds of trust and mutual support within their communities. This training is life-changing. At this point the Shematrix Training is only available to women. Women have come into this journey at all different points on their path and by utilising the skills and practices we offer, many speak of unimagined insights, empowerment, and reaching levels of their potential that they didn’t even know existed. Learning about celebrating the sacred and holding space for life in new ways has opened many to the magical, in relationship to everything and everyone. Within the training, as we are all evolving together, there is always a new reflection, a new opportunity for opening in our dance together. 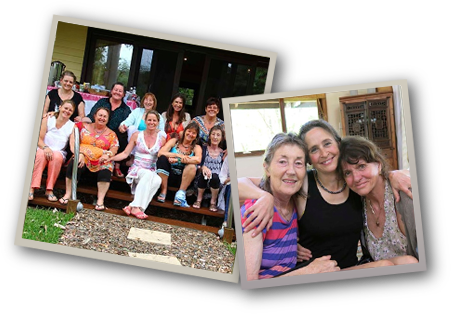 Being involved in the Shematrix Mystery School Training is an opportunity to be part of a group of women using the reflections of each other and our own self-exploration to become more of who we want to become. As we travel together, the training will keep meeting each of us wherever we are in each moment. It has the potential to deliver you beyond your current sense of what is possible.